Recreate this serene landscape image for your own enjoyment. 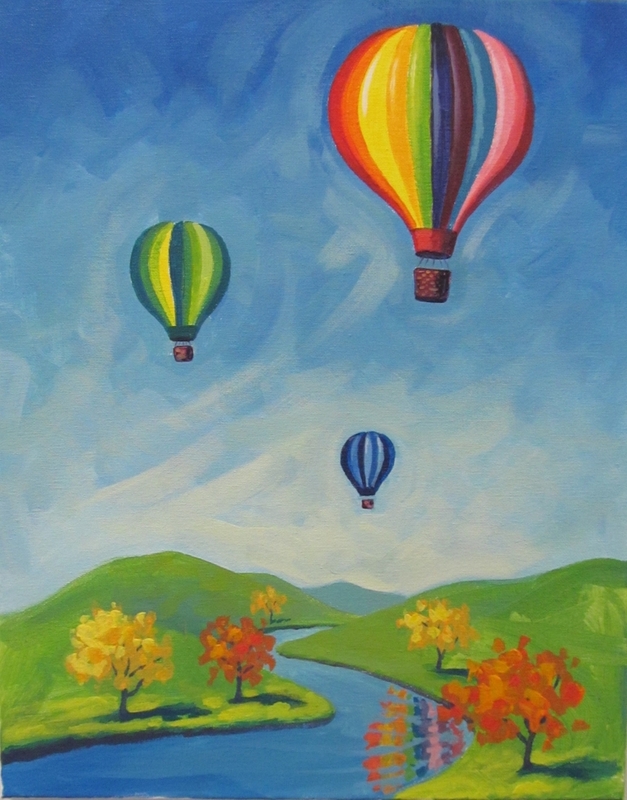 Its pastoral image is an inspiration to let your creativity soar. Cocktails and Canvas is the perfect chance to learn the basics of acrylic painting while enjoying the company of friends and other creative folks. Our instructors will help you whether you are a total beginner or looking to brush up your skills and paint in a social setting. You won’t walk out of here as a master, but you sure can have a very nice copy of one! At VisArts, each student receives a partially sketched 16 x 20 canvas — an important step that ensures success for beginners as well as more experienced painters. Our wonderful instructors will walk you step by step through the entire process and all materials, including brushes, easels, paints and aprons are provided. To keep your energy up we also offer complimentary sodas, bottled water and snacks. For those who desire, VisArts offers a complimentary glass of red or white wine. Additional wine and beer is for sale; please bring an ID if you wish to consume alcohol. VisArts has offered Cocktails and Canvas since 2011 and more than 30,000 have painted with us. AND our approval rating is above 98 percent!